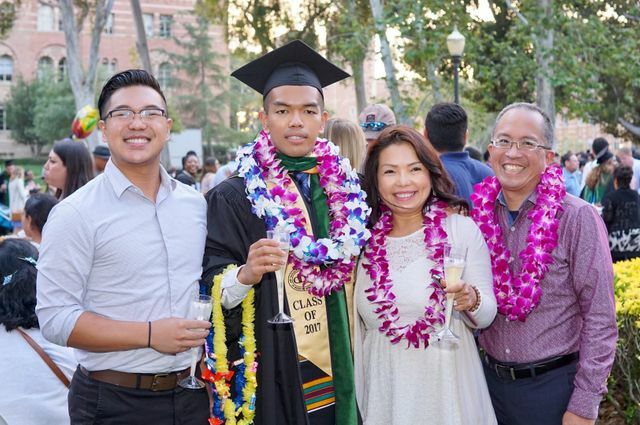 Bryan Lam graduated from the David Geffen School of Medicine at UCLA. 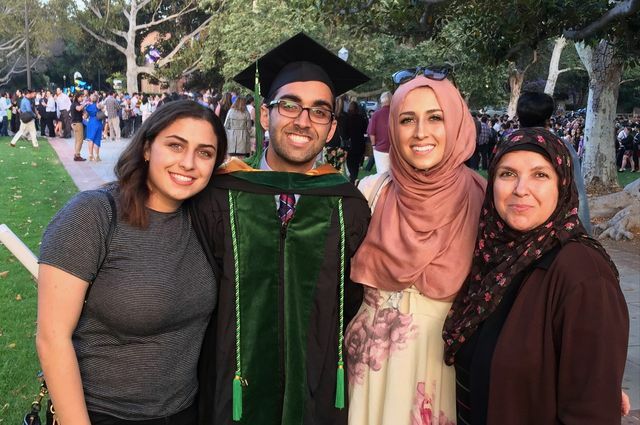 Mostafa Al-Alusi graduated from the David Geffen School of Medicine at UCLA. 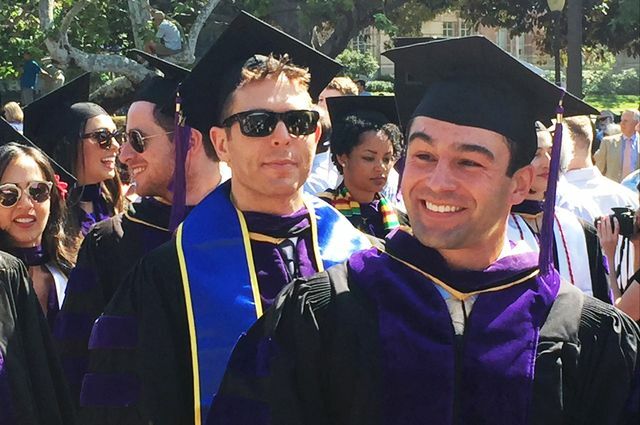 New UCLA Anderson grads (and their new jobs) are publicly acknowledged. 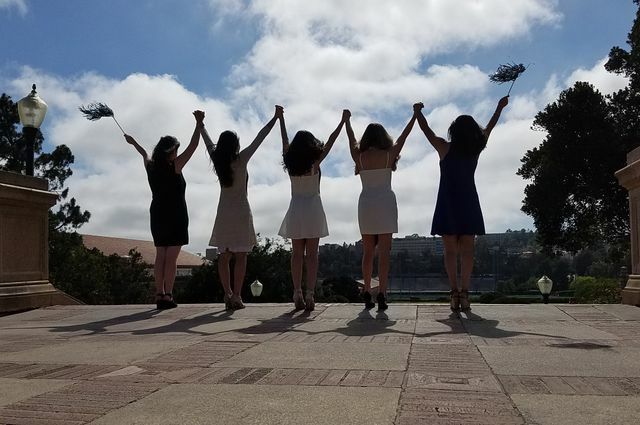 The first women of Tongva descent to be awarded Ph.D.s at UCLA. 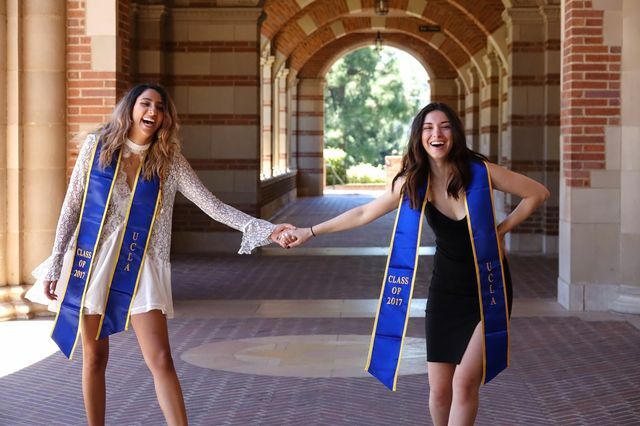 Mother and daughter will graduate together. 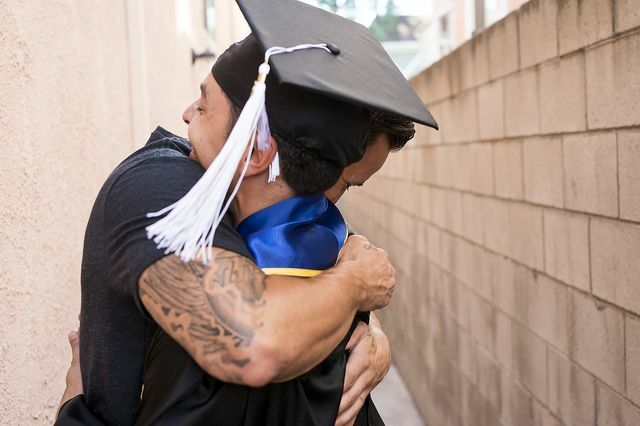 UCLA senior and his brother embrace as they share in the excitement of his upcoming graduation. 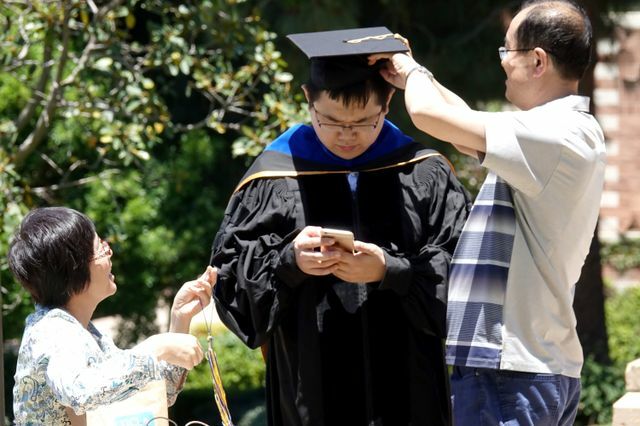 The force behind Spider-Man, X-Men and other Marvel Comics’ heroes was given the Icons of L.A. Award and also shared wisdom with the 2,000 who earned certificates. 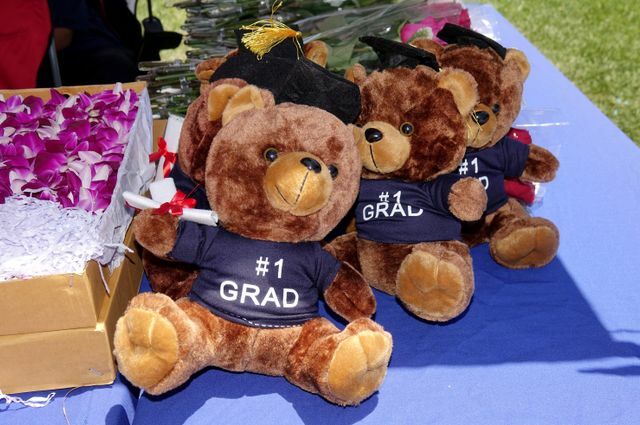 Anita Ortega, a former UCLA basketball star and the first African-American woman to become a Los Angeles Police Department area commander, advised graduates to push on their own behalf and for the voiceless. 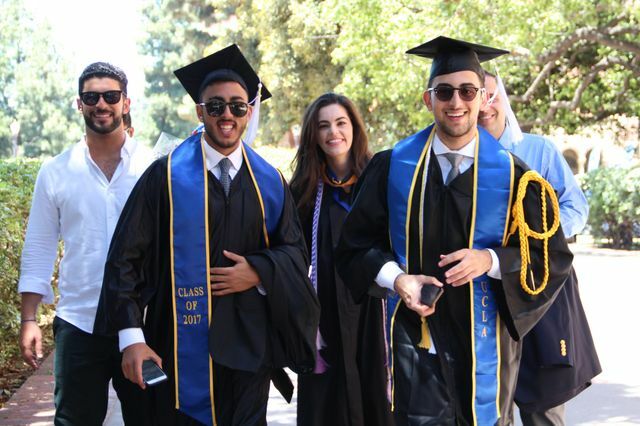 UCLA is one of the top universities in the country for producing the most Ph.D.s in the arts and humanities. 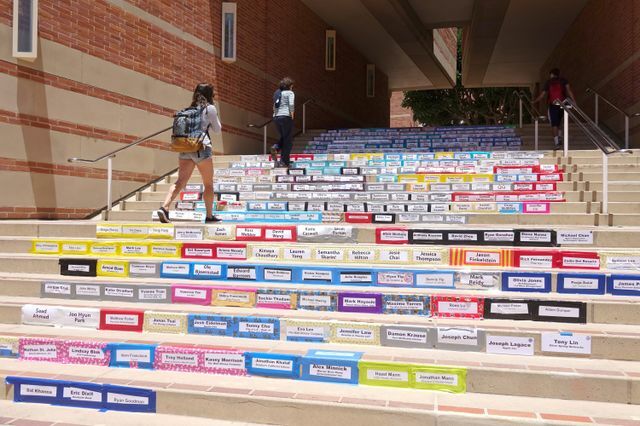 In 2014-15, UCLA tied for No.1 in the nation with NYU, according to a recent report from the Chronicle of Higher Education. 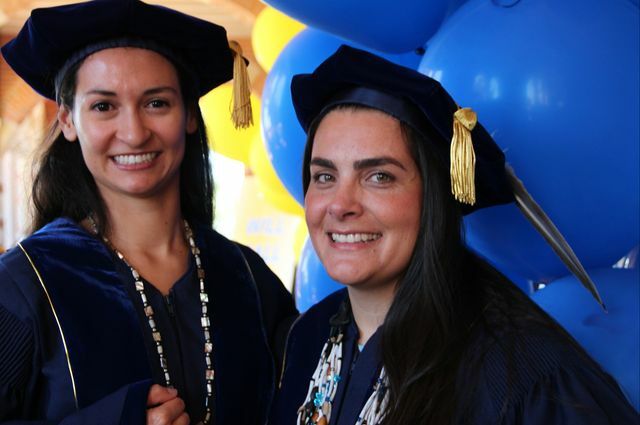 The first two women of Tongva descent to be awarded Ph.D.s at UCLA celebrated that milestone today at UCLA’s Graduate Division Doctoral Hooding, held on a campus that now sits on the ancient land of their ancestors. 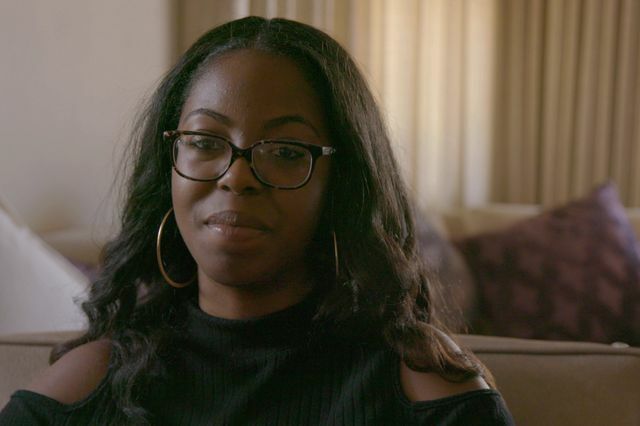 Kaylin Wesley plans to use her knowledge to alleviate major challenges facing black youth as they struggle to attain an education and health care, among other objectives. 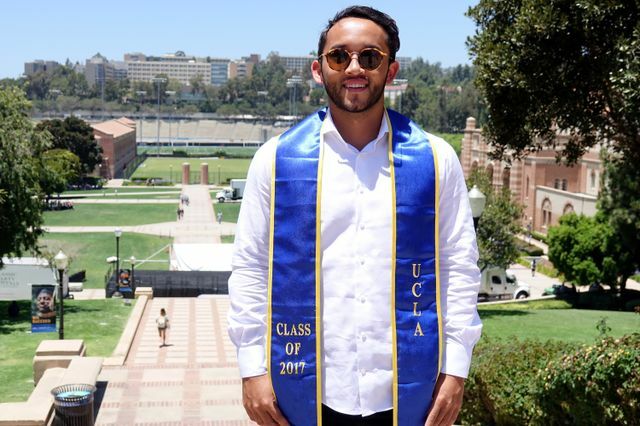 UCLA senior James Anderson spent three years behind bars, then co-founded a nonprofit that helps formerly incarcerated people, and now plans to dedicate himself to justice system reform. 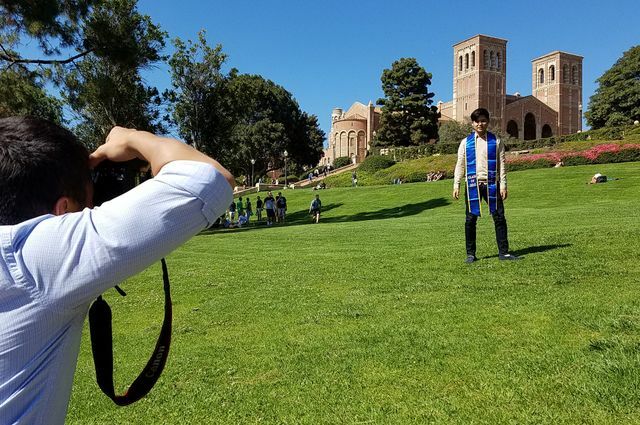 Graduating senior Luke Vellotti is leaving UCLA this week with two bachelor’s degrees — one in mathematics and one in computer science — and starting his career at Google as a software developer. 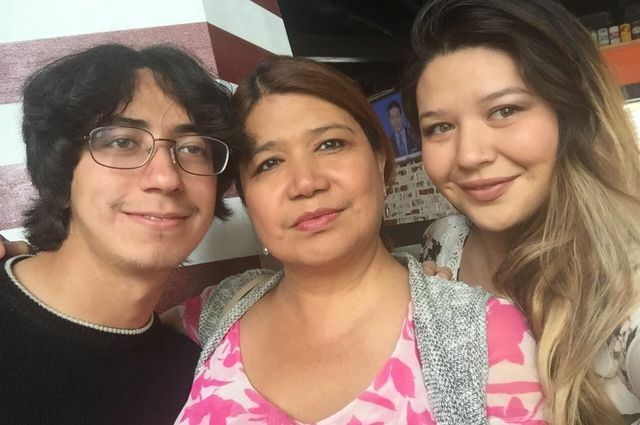 Gabriela Abraham and her daughter, Danielle, have supported each other through college and will be the first in their family to earn four-year degrees. 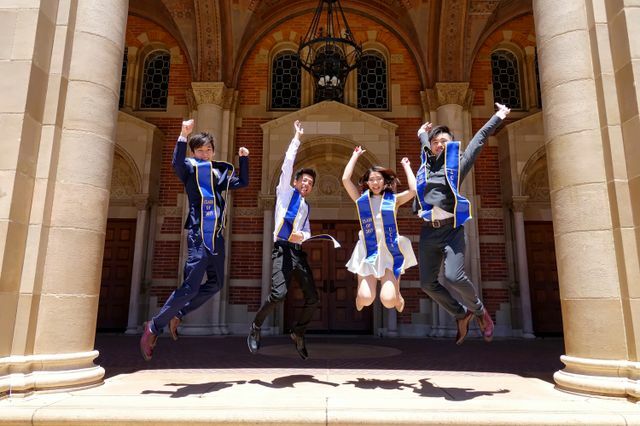 We asked some graduating seniors to take a quick look back on their time at UCLA. 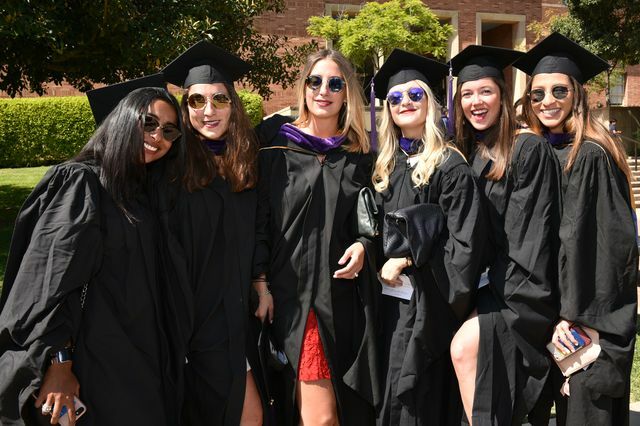 Some 200 UCLA medical students received their diplomas Friday in Perloff Courtyard during the Hippocratic Oath Ceremony for the David Geffen School of Medicine at UCLA. 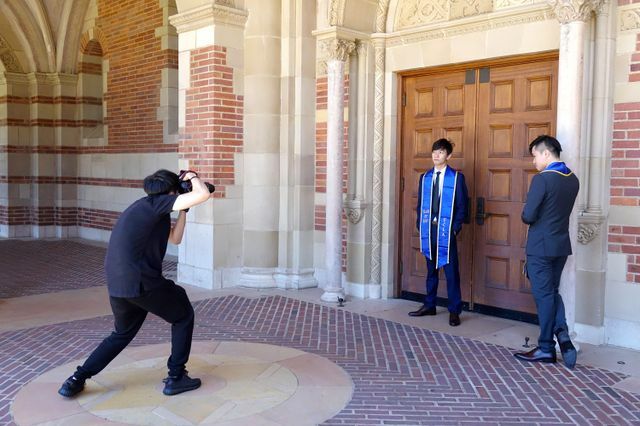 Program funded by the entertainment executive and philanthropist helps UCLA attract top medical school prospects. Current affairs involving the nation’s deep political divisions and immigration were common themes in the day’s remarks. The UCLA Athletics Hall of Fame inductee and LAPD trailblazer has earned numerous accolades for her accomplishments off the basketball court. The National Medal of Arts recipient and nine-time Grammy winner will receive the campus’s highest honor on June 16. 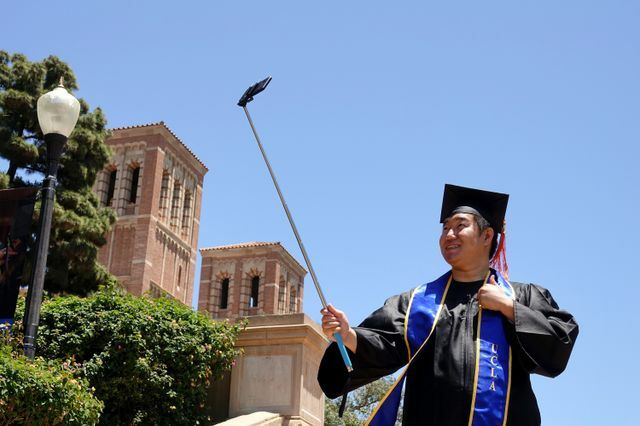 News and photos of commencement season at UCLA.